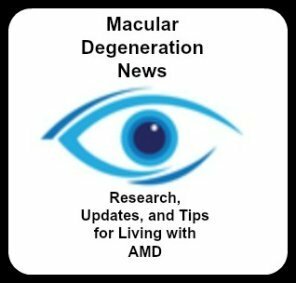 I am surprised not to find a topic on "computer-aids" for low vision on an internet site which is dedicated to macular degeneration. These days there are many tools available on the computer which enhance the possiblility of communication and even work so much. - connection of the PC to the TV allows you to use the (larger) TV monitor as an internet screen. - better keyboard (with clearer keys) if you have not learned to touch-type. And lately there must be several applications available on the Ipad and Tablet. - suggest what they would like to "see", so that one can investigate ways of making it work. Thank you Renee. That is a great suggestion if anyone has a computer aid that has helped them, just post your comments here. The Microsoft Comfort Optical Mouse 3000 , obtainable for $8.75 from Amazon is a very useful computer accessory. It turns the magnifier off and on with the click of a button on the side. The lens is easily re-sizable using the mouse only. Benefit per dollar, this is the best computer visual aide I have found. Thanks for your post. I think you have a good idea, sharing computer aides. I saw this site but didn't get it because I don't text.